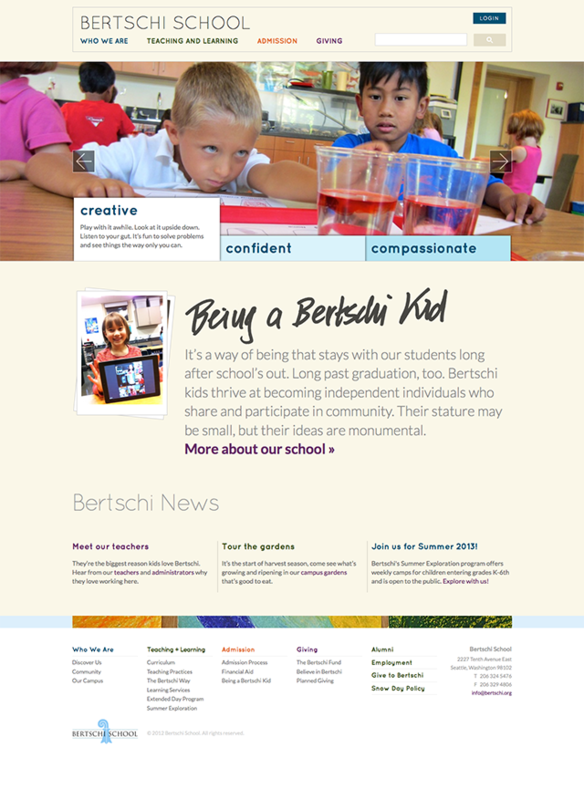 The Bertschi School is a prestigious elementary education institution based on Capitol Hill in Seattle. The school endeavors to create a culture of kindness, growth, practical problem solving, and social responsibility. Their need for a remodeled website sprouted largely out of their intention to address the needs of the local community while maintaining a faithful portrait of their dedication to progress and diversity. 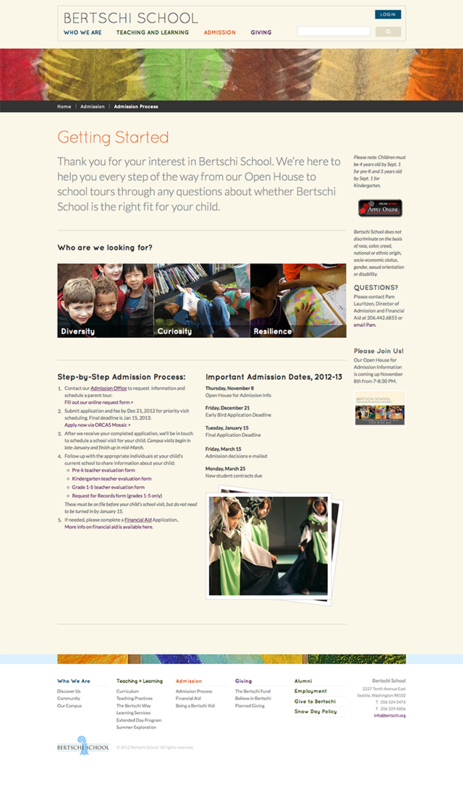 We created a full-featured school management system with front and back-end update capabilities. 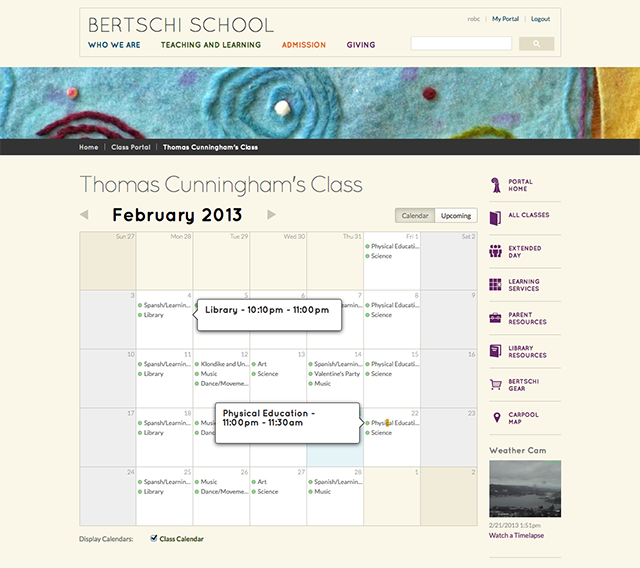 The site enables multiple-class-management and allows instructors to start class blogs and create unique calendar events. Also included in the site are teacher and parent portals, calendar functions broken down by class and student, and a master school calendar. 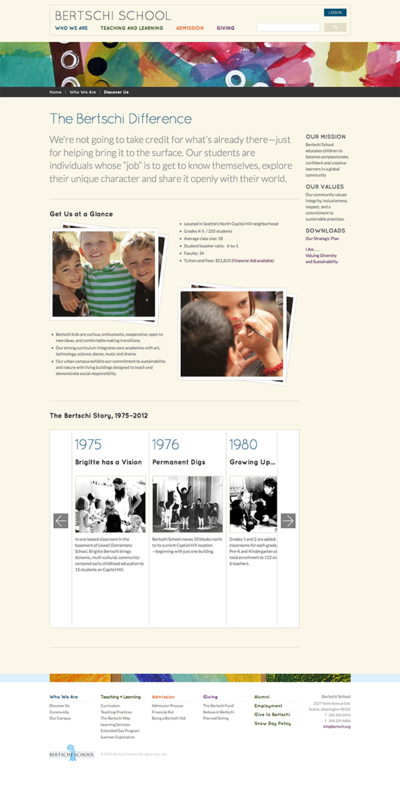 The redesigned website was well-received by both parents and instructors alike, and has been praised for its functionality and warmth.